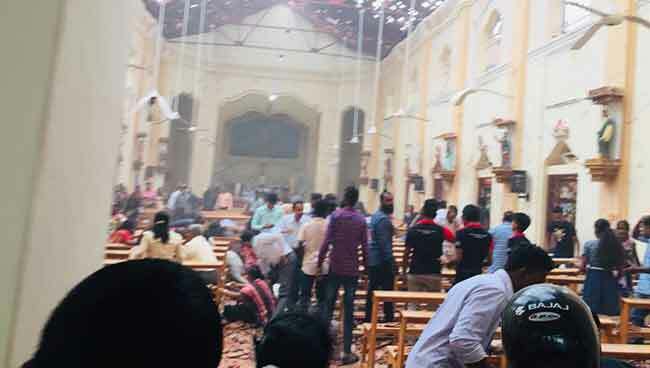 ඉදිරි ජනාධිපතිවරණයේදී ඒකාබද්ද විපක්‍ෂයේ ජනාධිපති ඇපේක්‍ෂකයා විය යුත්තේ චමල් රාජපක්‍ෂ මහතා බව තම පුද්ගලික මතය යයි පාර්ලිමේන්තු මන්ත්‍රී වාසුදේව නානායක්කාර මහතා පවසයි. 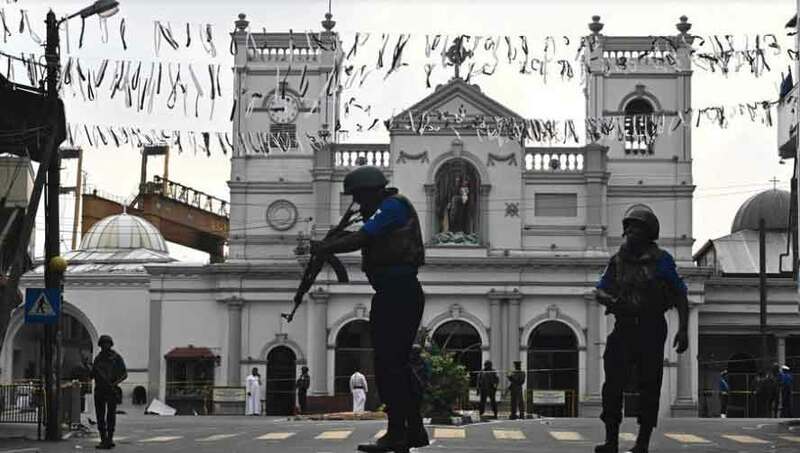 ඒකාබද්දයේ තවත් මන්ත‍්‍රීවරුන් පිරිසක් විසින් චමල් රාජපක්‍ෂ මහතාගේ නම යෝජනා කර ඇතැයිද ඔහු සදහන් කරයි. 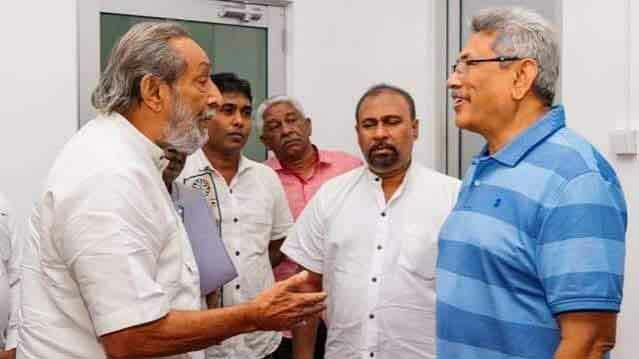 චමල් රාජපක්‍ෂ මහතා හැර ඒකාබද්දයේ වෙනත් කිසිවෙකුට ජනාධිපතිවරණය ජයගත නොහැකි යයිද මන්ත‍්‍රිවරයා කියා සිටී. 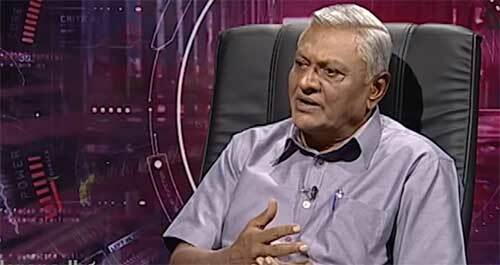 ඔහු මේ බව කියා සිටියේ කොළඹදී පැවති මාධ්‍ය හමුවක් අමතමිනි. wasu oya nodana bahu butha kiyawana apa.poddak parata behela minissungen ahala balanna katada chandey deney kiyala.Gotabaya hera wena katawath chandey denawada kiyala hodata denagana, oya nikan pissu kelina hadana apa. Dear friends, Just remind you a fact. 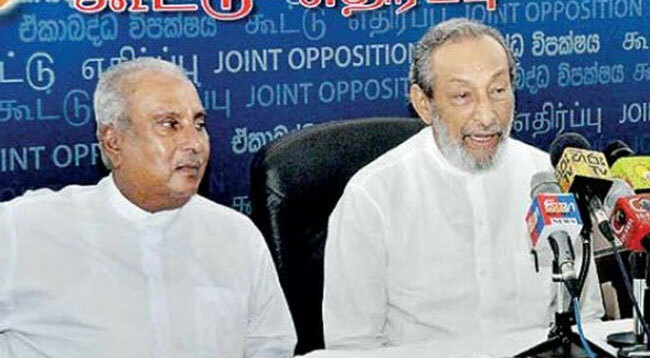 Long time ago when Chandrika was the President, it was Vasu, before anybody else, who proposed Mahinda Rajapksha’s name as the next leader. ow ow..chamal awoth dinawi…aney nikan pissu dodawana nethuwa innawa,,oyage machan karaya ara LTTE wignesharan karaya neyda? nettey edan goma ga gannada hadaney wasu???? වාසු යනු ජාතික නායකත්වයක් ගැන සිතීමටවත් නොහැකි ප්‍රතිපත්තියක් හෝ වෙනත් රට ගැන දැක්මක් නොමැති වයස නිසා පිනට පාර්ලිමේන්තුවේ සිටින වසර ගනන් පාර්ලිමේන්තුවේ සිටියත් රටට කිසිදු සේවයක් නොකල ජරාජීර්ණ තුන්වෙනි පන්තියේ දේසපාලුවෙකි. 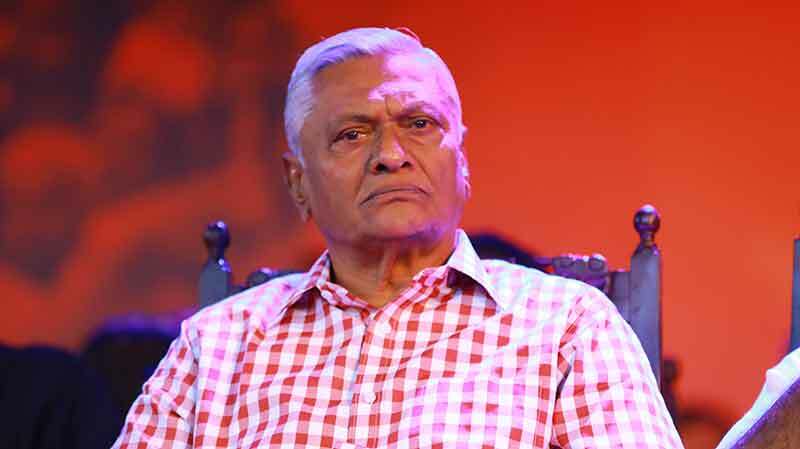 මිනිස්සුන්ට මඩගැසීම ගැරහීම හැර කිසිවක් නොදන්නා මෙවැනි නිකමුන්ගේ අදහස් මනෝ විකාර විනා වෙන කිසිවක් නොවේ. වාසු සහ බාහු එකට වමේ දේශපාලනය කලෝය. 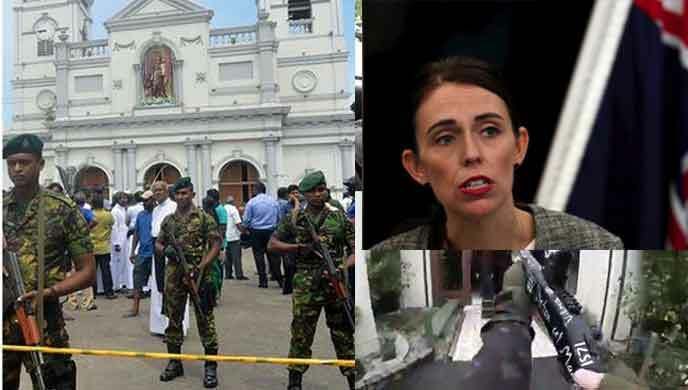 දෙදෙනාටම කිසිම ජාතික ප්‍රතිපත්තියක් තිබුනේ වත් , ඒ සදහා සන්කල්පයක් ගොඩනගා ගැනීමටවත් අවබෝදයක් නොමැත. වෙන්වූ පසු දෙදෙනා විටින් විට නොයෙකුත් අතට පනිමින් ජාම බේරාගෙන සිටියෝය. වෙනසකට ඇත්තේ බාහු රටට සතුරෙකු ලෙස හැසිරීමත්, ප්‍රකාශ නිකුත් කිරීමත් වාසු තවම එසේ නොකිරීමත් පමනි. Umba wagema three weel pakshekata hondai.mulu ratama illanne GOTA. Hello, It’s not his name he proposes. 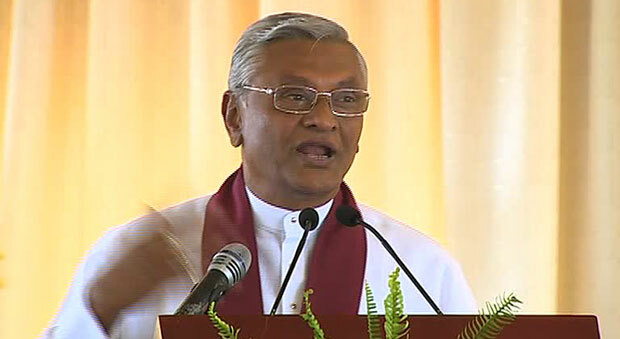 Judge Chamal not Vasu!! 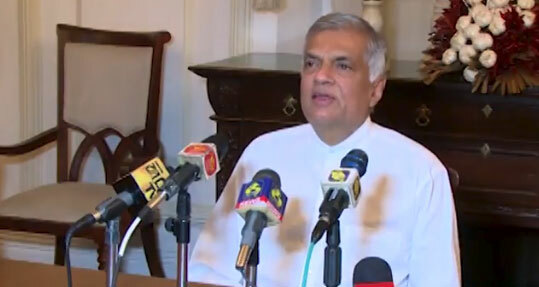 දැන් ඉතින් ඔයාටත් කාලය ඇවිත් තියෙනෙනේ ගෙදරට වෙලා වැඩක් බලාගන් වසු. 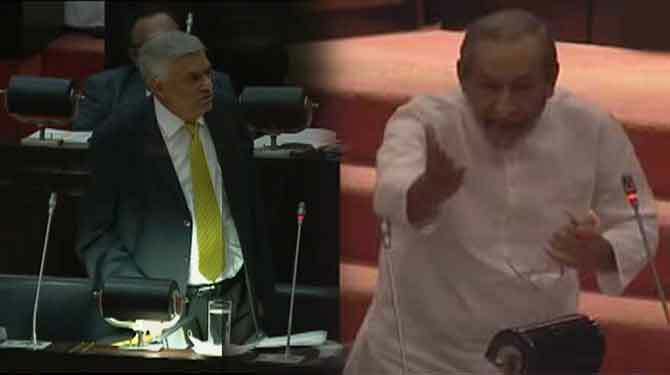 Sirithunga Jayasooriya hari Wijesinghe Dias janadhipathi apekshakaya karagaththoth aniwaryayenma dinanta puluwan. Vasu unath narakama nehe. He is expressing his whims and fancies. But majority of the patriotic citizens of this country are of the view that more suitable candidate is Gota. It is impossible to satisfy each and every ones aspirations. Must choose a candidate the majority of people prefer. All the patriotic people should stay united , respecting the majority people’s choice .The country and the future generation is again on the verge of surrendering to foreign nations. What the nation demand is a man who has a vision and principles to prevent such disastrous situations. 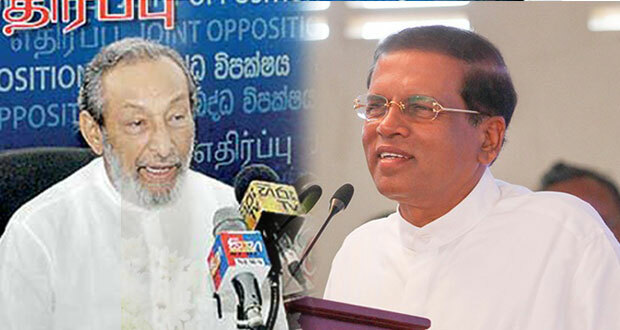 දේශපාලනයේදී වැදගත් වෙන්නේ තම තමන්ගේ පෞද්ගලික මතිමතාන්තර නොව බහුතර ඡනතාවගේ කැමැත්ත බව මෙච්චර වයසට ගිහිල්ලත මෙයාට තේරෙන්නෙ නෑ.. සමහරවිට හමුදාවේ හිටපු නිලධාරියෙක් රටක රාඡ්‍ය නායකත්වයට ගෙන ඒමට අතැමුන්ට බය තියෙන්නේ ඔහු රාඡ්‍ය පාලනයේදී හමුදා මානසිකත්වයකින් වැඩ කරයිද කියලා.. ඔය ප්‍රඡාතන්ත්‍රවාදියි කියන නායකයෝ වසර හැට ගානක් රට පාලනය කරලා අද රටට වෙලා තියෙන්නේ මොකක්ද.. ඉතින් ඡනාතව හමුදා නායකත්වයක් දිහා තල්ලු වෙන්නෙත් ඔය කියන ප්‍රඡාතන්ත්‍රවාදි නායකයන්ගෙන් රටට වෙච්ච වැරැද්ද නිසාමයි.. ඡනතාව රටක් අවශ්‍යයි.. නායකයින්ට තමන්ගේ සුඛ විහරණ අවශ්‍යයි..
වාසුට අත්දැකීම් තියෙනව .ඔහු කියවන්නේ මහින්දව .ඇමෙරිකාව තරහ කරන් ගෝටව දන්නේ නැහැ කවදාවත් .ඒක වහ කෑවා වගේ වැඩක් .අපේ මිනුස්සු ඇමෙරිකන් පිටි නැතිව සතියක් ඉන්නේ නැහැ .ඒක මහින්දත් දන්නවා .නැත්නම් මහින්ද එදාම අතුල් කෙෂප්ට කනට ගහනවා . 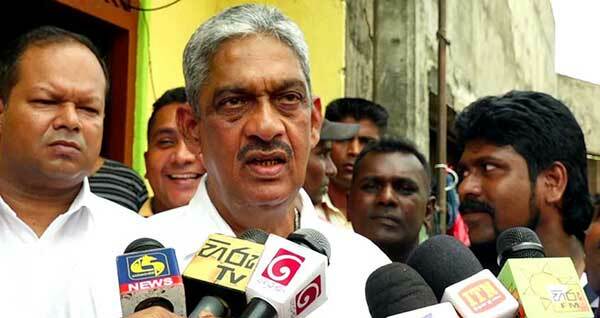 ජනතාවගේ කැමැත්ත සහ පෙළගැස්ම ගැන හැගීමක් නැති අය ඔහොම කියනවා. 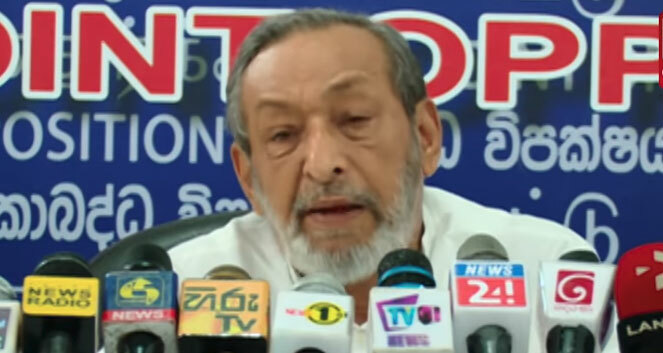 ඒක නිසානේ වාසු ත්‍රී වීලර් එකෙන් යන්නේ. 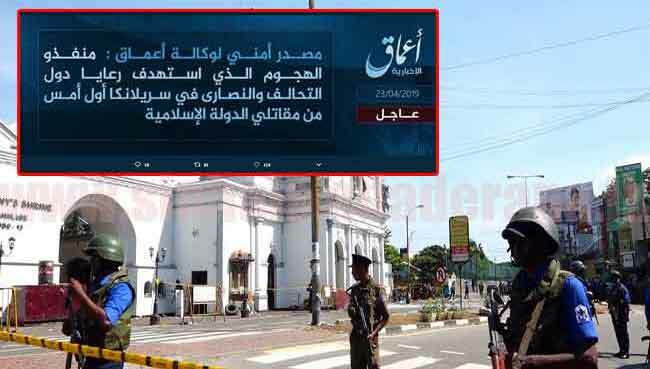 අනික මෙයාට බය ඇති ගෝටා ආවාම එයාගේ මස්සිනාට තව දුරටත් උතුරේ ඉන්න අහිංසක දෙමල ජනතාව රවට්ටගෙන ඉන්න බැරි වේවි කියල. 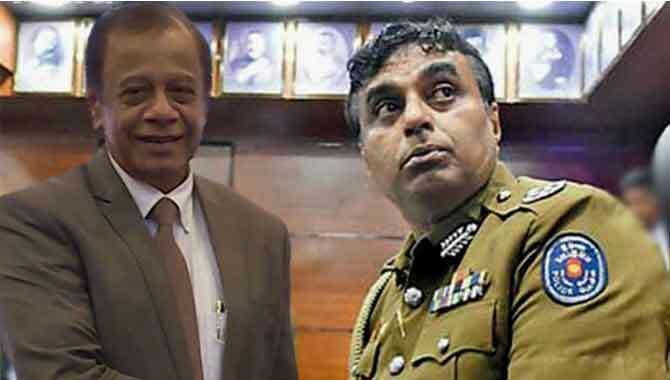 hollow mr.wasu mr.chamal is goog person but country need for GR right now .pls don’t make unnecessary create and if you cant go together pls resign . 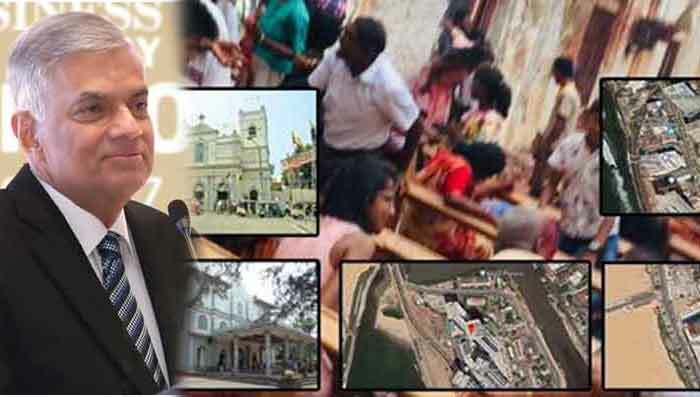 මීලග ජනාධිපති අපේක්‍ෂක ගැන රාජපක්‍ෂ පවුල ගත් තීන්දුව චමල් හෙලි කරයි..
මීලග ජනාධිපතිවරණ අපේක්‍ෂකයා සම්බන්ධයෙන් රාජපක්‍ෂ පවුලේ සාමාජිකයන් එක් වී තීරණයක් ගත් බව හිටපු කතානායක චමල් රාජපක්‍ෂ මහතා පවසයි.